Unlike computer viruses, a computer worm acts on their own to self-replicate and spread through computer networks without the need of a hacker’s assistance. Because worms can make copies of themselves, they often spread quickly and infect computers with malicious programs. Through “network packets,” which infiltrate the computer’s memory and activate a worm. Worms are known to cause various levels of harm to a computer network. Sometimes, they only consume bandwidth or disrupt the system by increasing network traffic. 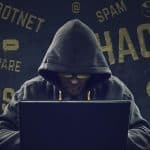 Other worms might install a backdoor access to your computer, which would allow a hacker to find your sensitive information and steal your identity. Some worms can delete your files or send out unauthorized documents through email. Do I have a computer worm and how do I fix it? Although a worm can cause major damage, it might be difficult to find out whether your computer network has been infected. If you try to open an email attachment and it brings up a dialogue box, or if you begin to notice your computer acts suspiciously after you’ve opened the attachment, it’s possible you’ve unleashed a worm. Always use caution when opening email attachments. If someone in your contacts has their own worm, you could receive an email from them. If it looks or feels suspicious, don’t open the email or its attachments. If this occurs and you do open a malicious attachment, your own email contacts may begin to receive emails that appear to have been sent by you. Ask them whether they have received any emails that seemed to be from your email, and whether they included attachments with extensions such as .bat, .vbs, .exe or .scr. If they have received such an email that you didn’t send, there’s a good chance you have a worm in your computer. Also, keep tabs on how fast your system operates and how much free space is available. Worm files self-replicate, which means they’ll take up additional space on your computer. They can also slow down your computer operations. And if any of your programs have ceased to work properly, that could be the sign of a worm infestation. Worms can force some important computer programs to stop working properly, and in that case can delete or break important files. If your computer freezes or crashes, or begins to open and run programs automatically, a worm may be present. Use a highly-rated anti-virus software to scan your computer for worms. Be sure to choose a software that has malware removal tools that can detect malicious content found in an email or other Internet downloads. Keep your computer’s operating system updated with the latest security releases, which could protect you from the latest threats. Firewalls can also keep your computer safe from worms and unauthorized access. But if antivirus software doesn’t seem to help your computer, you may need to seek the advice of a qualified technician. Computer worms use computer networks to spread themselves, relying on security failures of the target computer to access and cause damage.